ANKARA, 26 Dec 2005 (IRIN) - Reconstruction efforts in Iran's southeastern city of Bam were continuing on Monday, following the successful construction of thousands of permanent shelters for survivors of the devastating earthquake that levelled the city exactly two years ago. 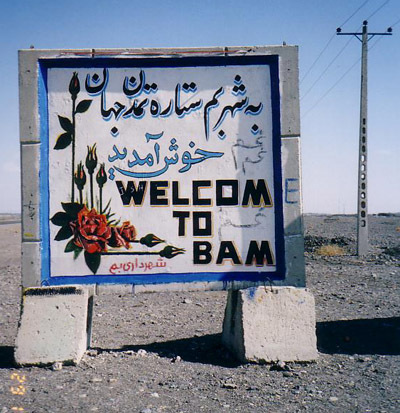 "The Bam reconstruction programme has the potential to become a successful recovery programme, in that it not only has enhanced standards of earthquake safety in Bam but safety standards have been raised in other areas of Iran," Victoria Kianpour Atabaki, programme officer for Disaster Risk Management and Reconstruction for the United Nations Development Programme (UNDP) in Iran said from the capital, Tehran. Some 30,000 people were killed and thousands more were injured on 26 December 2003 when the 6.5 magnitude quake razed the ancient Silk Road city, making it Iran's worst recorded disaster ever, rendering some 200,000 people homeless and damaging or destroying some 42,000 housing units. According to UNDP, most buildings in the affected area were constructed by sun-dried brick masonry with extremely poor seismic resistance. Residential units were particularly hard hit given a lack of compliance to construction codes. Prior to the quake, less than three percent of housing units were of steel frame construction. For every family of four or less, the government provided one prefabricated unit and for larger families two units were supplied. Including transportation and installation, the cost per unit was US $4,000. But given the sheer scale of the disaster, the challenge of building permanent shelter for those who lost their homes has proved immense, particularly within Bam city itself. While 22,000 of the 25,000 housing units planned for rural areas have been completed and are occupied, with the government set to complete its efforts by 20 March 2006, the situation within the city itself has proven less successful. Of the 20,000 housing units to be reconstructed, only 14,000 are been built, including 6,000 nearing completion, as well as 1,700 units actually completed. Atabaki cited a number of reasons, including the need to review the city master plan approved in October 2004 in consultation with affected people and local authorities by the consultancy firm under the supervision of the Ministry of Housing. The time consumed in resolving land property issues, particularly when the owner was dead or was not available; as well as the need to make institutional and managerial arrangements for the design, planning, implementation and monitoring of the reconstruction programme, were also factors. Additionally, people in the area were accustomed to living in larger houses, averaging some 170 sqm and the maximum financial support to each family of $15,556 was simply not enough to rebuild, while poorer people who had yet to be targeted for assistance were often hesitant to use government loans. Many were anxious over whether they would be able to repay in time or not. Nonetheless, Atabaki remained confident of the outcome. "Reconstruction of Bam is a turning point in the history of reconstruction programmes in terms of attention paid to monitoring the reconstruction so that an earthquake resilient construction is assured," she said, noting the government's firm commitment to the effort. "The resources are secured and the political commitment is strong and sustained," the UNDP officer maintained. To date, some $445 million has been spent on reconstruction and $645 million in loans and grants has been allocated through banks. Some 14,000 of 42,000 households have received loans or grants. Additionally, another $445 million is secured and allocated for 2006 from the country's national developmental programme's core fund. During the medium term of recovery, UNDP Tehran worked closely with the government of Iran, local and provincial authorities, as well as affected communities, to provide technical inputs for the Bam reconstruction programme through focused workshops on sectoral themes. UNDP also supported capacity building and training programmes for both reconstruction managers and communities. As part of the agency's strategy, the experience of the Bam earthquake highlighted the fact that while there was strong capacity at the national level, local and intermediate level capacity had been weak. Despite significant technical capacity on all aspects of disaster detection and management, the implementation of these at the community level had been low.